Kim W. Torres - Mediator & Arbitrator based in Melbourne, Florida. Please click your preferred available date to submit a request. Your Appointment Form will be sent to Kim's assistant, Morgan. Kim Torres is a Certified mediator in the areas of Circuit Civil, Family and County courts, as well as being approved for Appellate, Federal and Bankruptcy matters. She has been a member of the Florida Bar since 1985 and has practiced exclusively as a Mediator since 2000, mediating well over 2000 cases. Kim has established a full time mediation practice in the areas of pro-se divorce, contract//business disputes, Homeowner Assn. issues, guardianship/probate, mortgage foreclosure, bankruptcy and elder care disputes. In addition to running her private mediation business, Kim is actively involved in mediation in the Civil and Family Mediation courts in Brevard County. She coordinates professional training seminars and webinars for the Florida Bar Assn., and local Bar associations. In recognition of her professionalism and commitment, Kim was recognized as a "Leader in the Law" with the Florida Assn. of Women Lawyers in 2018 and she was honored as the Circuit Civil Mediator of the Year for Brevard County in 2007. Subsdequently, Kim has worked with the courts in the development of the Mortgage Foreclosure Mediation program for Brevard County. She currently serves as an Eldercaring Coordinator in a pilot program in the State of Florida which focuses on high-conflict families seeking assistance in the care of elders. Kim mediates throughout the State of Florida in response to demand for her effective skills and approachable style. A primary focus of her practice is working with spouses and parents in uncontested divorces and the creation of parenting plans. Conference rooms are available in any County. Kim will come to you. Please call. Kim has served as an Evaluator for mediators-in-training for the Defense Equal Opportunity Management Dispute Institute (DEOMI) at Patrick Air Force Base and has made presentations to other mediators for the annual Florida Dispute Resolution Center conference. Kim was a Panelist for the ADR Section of the Florida Bar at the Annual Conference and has served on multiple Florida Bar committees. She has also presided as a facilitator and trainer for Peer Mediation programs in Brevard County and on panels for Domestic Violence Awareness and Divorce Mediation Processes. Kim has developed an expertise in mortgage foreclosures, mortgage modifications in bankruptcy and consumer credit cases and particularly enjoys working with individual parties and unrepresented individuals. A native of Florida, Kim received both her undergraduate and law degrees from Florida State University. 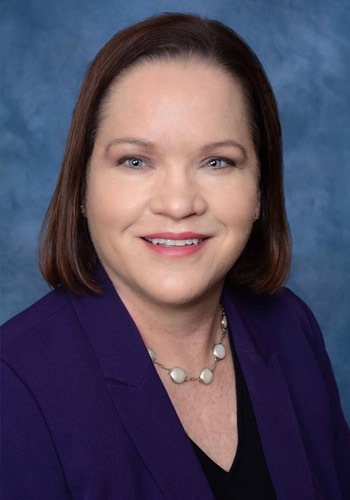 In addition to the Florida Bar, she currently holds memberships with the Florida Academy of Professional Mediators, the Brevard County Bar Association and the Brevard Association of Women Lawyers. Kim has also served on Boards and in leadership positions for various community organizations, including the Board of the Brevard Bar Foundation, Family Counseling Center of Brevard and the Junior League of South Brevard. Kim is active in the Brevard County Bar Assn, and the Brevard Assn. for Women Lawyers. As a member of the Florida Circuit-Civil Mediators' Society, the International Mediators Institute and the Academy of Distinguished Neutrals, Kim has been selected by her peers to join in these organizations which admit members by invitation-only. This honor has been earned through years of experience and referrals by members of the legal profession who recognize her skill and effectiveness. Kim is available for mediations throughout the State of Florida. Her areas of focus include: uncontested divorces, guardianship and elder care issues, consumer credit issues, breach of contract, landlord/tenant claims, mortgage foreclosure, debt collection, personal injury, condominium and Homeowners Assn. problems, parenting plans, and small-business and contract disputes. While using her legal training, Kim is particularly skilled in addressing the emotional concerns of the parties during mediation which can open the door to the effective resolution of their disputes. She has a special interest in matters that involve pro se parties and disputes that are relationship-based, particularly among family members, neighbors and business colleagues. Please inquire about medical malpractice, and complex commerical and multiparty mediations, which may be held anywhere in the State of Florida. Kim co-mediates these cases with a Board Certified Trial Attorney with over 25 years of complex litigation experience. This provides the parties with both subject matter expertise and advanced mediation skills developed through years of experience. Native Floridian - providing services across the State of Florida. Please ask. Elder Caring Coordinator, Pilot Program 18th Cir. Mediation fees are charged at $250 per hour with a minimum of two hours. Foreclosure mediations are charged as a flat fee based on the county where the mediation takes place starting at $350 for Brevard County. There is no charge to reschedule a mediation if it is scheduled within the next four weeks. A cancellation fee will apply if the mediation is not rescheduled for a future date. A cancellation fee equal to two hours of mediation will be charged if the mediation is cancelled within five business days of the scheduled mediation. For foreclosure cases, the cancellation policy is within two business days of the mediation.